The royal wedding had us all captivated last week. A real-life fairy tale, complete with princes and princesses, Queens, carriages, and horsemen. Funny, I don’t recall any pumpkins or fat mice in robes though. We have to trust that God knew what he was doing when he created man and woman. We are both created in God’s image and likeness so there is a beauty and a holiness inherent in both sexes. It’s just so frustratingly different! The following is an excerpt from the book. “Every woman was once a little girl. And every little girl holds in her heart her most precious dreams. She longs to be swept up into a romance, to play an irreplaceable role in a great adventure, to be the beauty of the story. Those desires are far more than child’s play. And yet, how many women do you know who ever find that life? She finds no romance except in novels, no adventure except on television, and she doubts very much that she will ever be the beauty in any tale. Many women think they have to settle for a life of efficiency and duty, chores, and errands, striving to be the woman they ought to be but often feeling they have failed. But her heart is still there. Sometimes when she watches a movie (or a royal wedding), sometimes in the wee hours of the night, her heart begins to speak again. A thirst rises within her to find the life she was meant to live, the life she dreamed of as a little girl. The answer to the deepest question for both men and women lies in our relationship with God. He has the answer. No other relationship can truly give us what we need no matter how hard we try to make that happen. The sooner we realize that, the happier and healthier our relationships will be. If you are looking to be happier and healthier in a relationship I hope you will mark your calendars for Thursday, June 21 from 7:00-9:00pm. 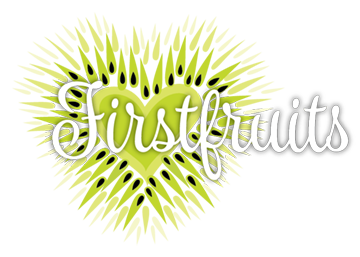 Carol and Tom Sullivan will share their personal stories as they uncover the wisdom of The Five Love Languages at Firstfruits. Weather permitting, we will be outside in the courtyard at Firstfruits, under the lights. (Talk about romance.) 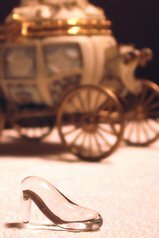 Be sure to wear your glass slippers. We promise to have you home by midnight.